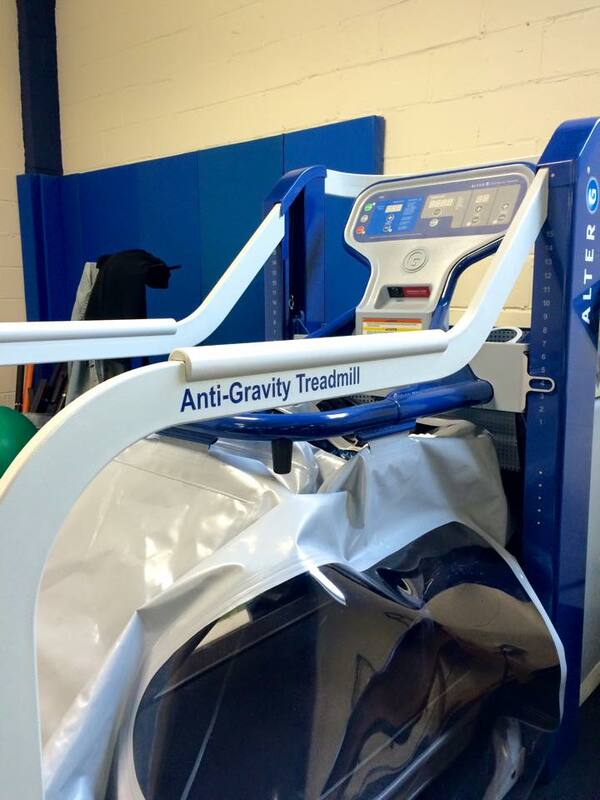 We are pleased to be able to offer our clients the latest NASA-inspired technology, the AlterG, an anti-gravity treadmill. The idea was born during the height of space exploration when astronauts who were staying longer and longer in a zero gravity environment began to be affected with weight loss, muscle atrophy and decreased bone density. Dr. Robert Whalen, a NASA engineer, was asked to develop the means for the astronauts to exercise in space. Among the inventions he came up with was a pressurized bubble that held astronauts down on a treadmill using air pressure. NASA decided to pursue some of Robert’s other ideas, but his son saw potential to his father’s concept of an air-pressure controlled treadmill. Instead of adding gravity for it to run in space, he wanted to make it possible to defy gravity to run on heart. By flipping the air pump, Sean created the concept for the Anti-Gravity Treadmill. Father and son worked together to create the first prototype in 2005. Just before it was finished, Alberto Salazar, an Olympic runner and coach, heard about the project and saw the potential for his athletes to use it. He saw the ability to underweight a runner and reduce the impact of training as an invaluable tool for any competitive long distance runner. 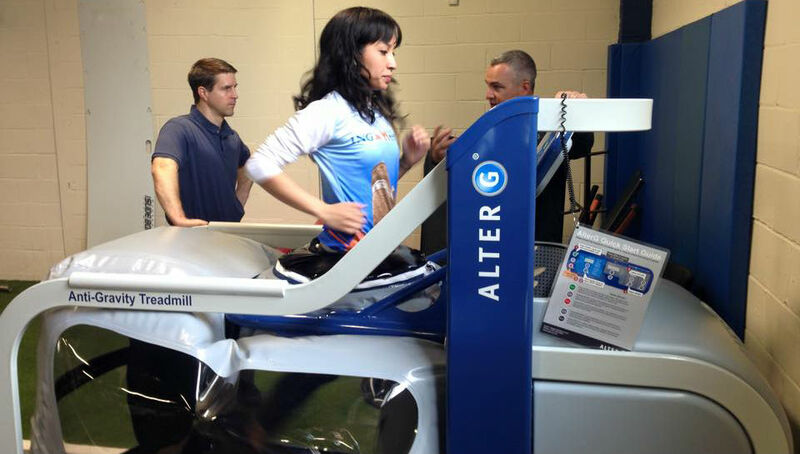 In 2007 Alter G sold its first commercial unit to the Washington Wizards. Soon after, other NBA, NFL and university teams also embraced the technology. Today the Alter G is finding a place in modern physical therapy practices. By creating a pressurized lifting force around the lower half of the body, the differential air pressure can be controlled to produce a variable lifting force for someone to walk, run and exercise with reduced and adjustable impact. At Body In Balance we use our Alter G not only for the training of athletes but also for foot pathology, to normalize gait cycles and accelerate recovery, to assist patients who have just had joint replacements, and to help patients who need to exercise to lose weight, but are not yet ready for running under normal conditions. For more information on the AlterG, go to http://www.alterg.com/.